When people discuss Japanese video game designer and director Goichi Suda, the subject of film directors who could be considered auteurs often arises in connection, with Suda being compared to David Lynch (Blue Velvet) and Alfred Hitchcock (Psycho), amongst others – inventive and creative directors unafraid to take risks, and whose bodies of work exhibit signature characteristics and elements which clearly identify a particular director’s work as his own. This despite the fact that filmmaking is a traditionally – and almost fundamentally – collaborative effort, as is the case with video games, to a certain extent. But even though an emphasis could easily be placed on the clear connections between Suda’s video game work and the mediums of film and music, and despite the director being a huge fan of both, ultimately he has no interest in making video games that try to be something they’re not. 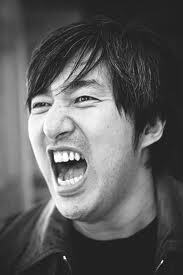 Suda loves video games, and whether you’re a fan of his work or not, his passion for the medium has been clear throughout his career and remains so to this day. Born in 1968, Goichi Suda, a.k.a. 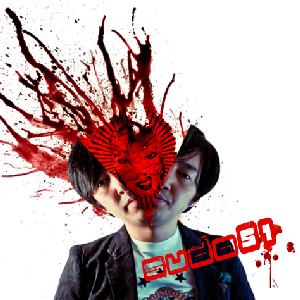 Suda51 (the nickname being a play on his given name, “Go” meaning “5” in Japanese, and “ichi” meaning “1”), entered the games industry at the age of 24, leaving his job as an undertaker (a job which he hated but which he claims made him think about how to portray death in games) to work on wrestling games for developer and publisher Human Entertainment. 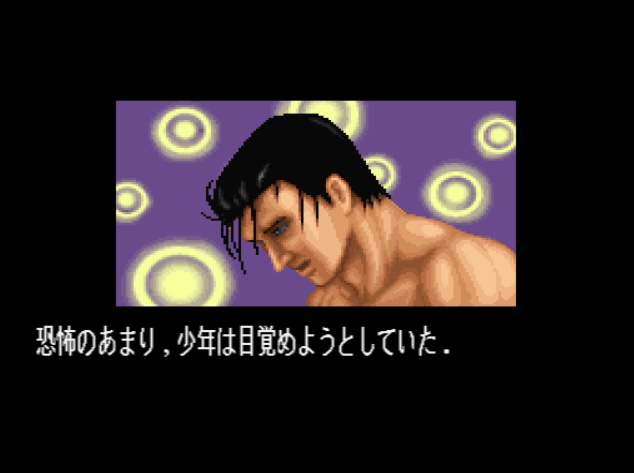 The first video game Suda worked on was Super Fire Pro Wrestling 3: Final Bout, his job title being “Scenario Writer”. It was a task made easier by Suda’s pre-existing knowledge of the sport. Although Suda has said it was at first difficult to get his superiors to listen to his ideas, his unconventional and imaginative approach to game design soon became apparent in his second game, Super Fire Pro Wrestling Special, which he directed – the game’s ending saw the main character kill himself after achieving professional success but losing everything that mattered to him personally. The inclusion of such dark and shocking material in a game was almost unheard of at the time, especially when the game in question was an otherwise straightforward wrestling game. Suda was already showing that he wasn’t interested in playing things safe. After his two wrestling games, Suda worked on the horror adventure Syndrome series for Human Entertainment, directing one game and serving as director/writer on another two, before eventually leaving shortly before the company folded. 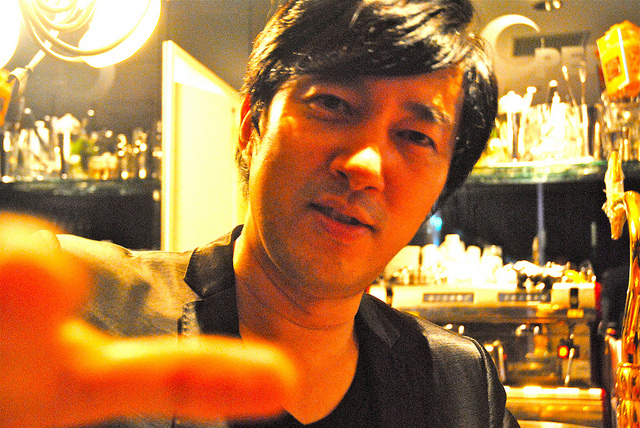 Suda was only just getting started, however – on 30th March 1998 he formed Grasshopper Manufacture, a game development studio of which he remains CEO today. “In my opinion, the highest form of art is the existence of videogames.” – Goichi Suda. Grasshopper Manufacture’s first game was The Silver Case, a detective adventure released exclusively in Japan in 1999 for the PlayStation. The game featured interesting and memorable presentation aspects, most notably the style in which the story was delivered, combining written text with varied visuals such as real-life photographs, video segments and real-time 3D displays. This erratic and attention-grabbing style was dubbed “Film Window” by Grasshopper, and despite the company still being in its infancy, it was a clear indicator of Suda’s continuing desire to experiment and push boundaries. Although The Silver Case was far from a commercial or critical failure, at the same time it didn’t receive a great deal of acclaim, despite its interesting style – the detective adventure was a popular genre in Japan at the time, so there were many similar games for The Silver Case to compete against. Undaunted, Grasshopper turned its attention towards the PlayStation 2, and the developer’s first release for the console came with Flower, Sun, and Rain in 2001. The game starred Sumio Mondo, a “searcher” hired to protect the Flower, Sun, and Rain hotel and the island on which it was built. The situation soon unravels when Mondo finds himself reliving the same day over and over, and gradually his hotel room twists and breaks down, as does his grip on his sanity. 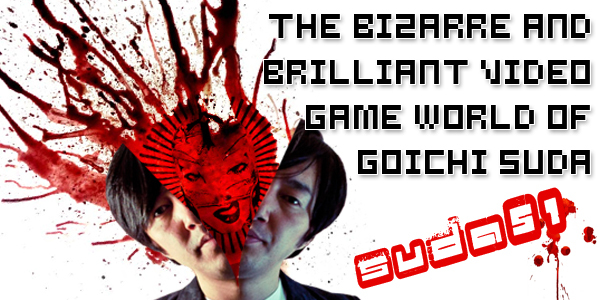 The strange story and often vague clues and characters were further examples of Suda’s disinterest in the mainstream. Next up were action RPGs Shining Soul and sequel Shining Soul II for the Game Boy Advance, both games being co-developed by Grasshopper and Nextech. 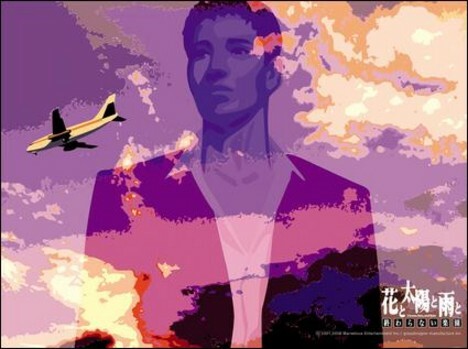 These games are early evidence of Suda and Grasshopper’s willingness to work with other developers and creators, despite the pride Suda and his company have always taken in their individuality and independence. Although Suda has his own approach to making games, he clearly doesn’t consider it the only valid one, instead being happy to collaborate with other talented people. More collaborations would emerge in Suda and Grasshopper’s future, such as the studio co-developing Zero: Tsukihami no Kamen (a.k.a. Fatal Frame 4, a.k.a. Project Zero 4) with Tecmo and Nintendo; “Suda51” receiving a “Special Thanks” credit during the credits of the Subspace Emissary mode in Super Smash Bros. Brawl; and Shadows of the Damned, a game developed by Grasshopper but which was also a collaboration between Suda and another famed Japanese video game designer: Shinji Mikami, director of the original Resident Evil, amongst others. But before Shadows of the Damned, Mikami collaborated with Suda on an earlier Grasshopper game, one which Suda directed and co-wrote, and on which Mikami served as co-writer and executive producer. That game was Killer 7, Grasshopper’s first original game to be released outside of Japan. Killer 7 was a dark, surreal, violent and complex game which received a mixed reception upon its release on GameCube and PlayStation 2 in 2005, some people slamming its offbeat and sometimes awkward control scheme while others praised its bold and vibrant visuals, its bizarre but deep narrative, and its overall uniqueness. Despite the mixed reception, Killer 7 went on to become a cult classic while at the same time bringing the work of Goichi Suda and Grasshopper Manufacture to the attention of an international audience. 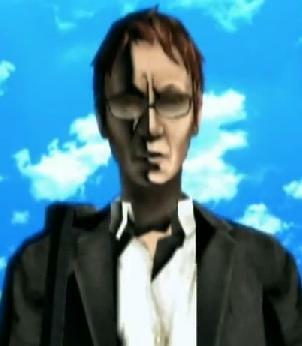 Killer 7 contained a number of references to previous Grasshopper games such as The Silver Case and Flower, Sun, and Rain, while also continuing Suda’s trend of referencing things which interested and influenced him personally. For example, one character in the game wore a lucha libre (Mexican wrestling) mask, as Suda was still a fan of wrestling – he even attended promotional events for Killer 7 wearing a lucha libre mask himself. After Killer 7 came Blood+: One Night Kiss and Samurai Champloo: Sidetracked, both based on anime series, while Grasshopper’s Nintendo DS RPG Contact was a surprisingly family-friendly game that also experimented with sound design and visual presentation at the same time, and which often broke the fourth wall. 2007 saw the Japanese release of Suda’s No More Heroes on Nintendo Wii, with other regions receiving the game the following year. Like Killer 7 before it, No More Heroes was a bizarre and visually striking game containing numerous pop culture references, although No More Heroes was a much brighter and more colourful game with a less serpentine (but arguably equally insane) plot. No More Heroes shared another similarity with Killer 7 in that it attracted a great deal of international attention. In fact, the game sold poorly upon release in Japan but went on to perform better in both North America and Europe, where the game was a much bigger success – big enough to warrant a sequel, which appeared in 2010 in the form of No More Heroes 2: Desperate Struggle. Although initially he had no interest in creating a sequel, Suda has said that he was eventually convinced by publisher interest due to the original game’s strong sales combined with fan requests for a follow-up. 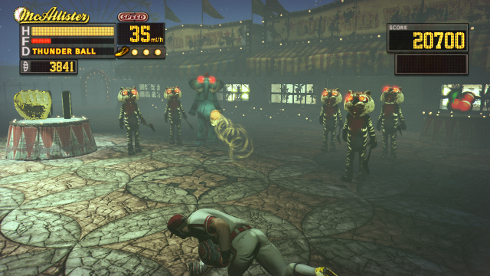 No More Heroes 2: Desperate Struggle would become one of Grasshopper’s most universally praised titles. More collaborations followed, such as the aforementioned Shadows of the Damned and Sine Mora, a digital-only shoot-‘em-up co-developed by Grasshopper and Digital Reality. Suda and the other creators at Grasshopper also continued to experiment and unleash their imaginations, as seen in baseball action game Diabolical Pitch, an Xbox 360 title which utilised Microsoft’s motion-sensing Kinect technology. Oh, and which cast you as a baseball player with a bionic arm fending off evil animal mascots in a twisted amusement park while being given guidance by a sharp-dressed man… with the head of a cow. Of course. 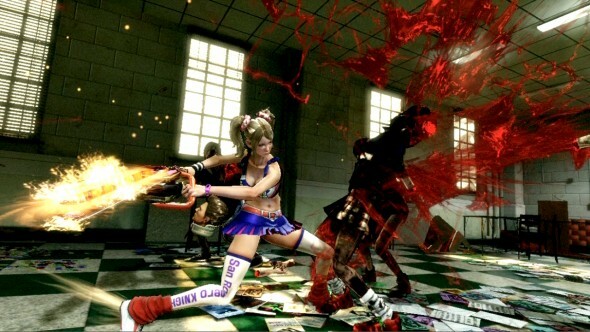 2012 was perhaps Suda and Grasshopper’s busiest year to date, as it saw the release of not only Sine Mora and Diabolical Pitch, but also tongue-in-cheek hack-and-slash Lollipop Chainsaw and side-scrolling action platformer Black Knight Sword, the latter another collaboration between Grasshopper and Digital Reality. 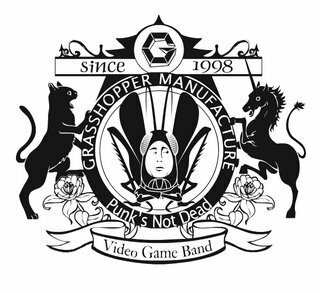 The exact level of Suda’s individual creative input in Grasshopper’s games may vary from title to title, but as a company, Grasshopper Manufacture clearly still possesses imagination and creativity in abundance, a noteworthy achievement given its decade and a half of output. 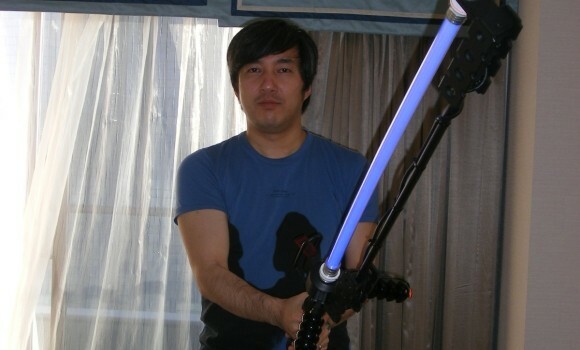 Suda has even written the lyrics for several songs which feature in some of his games: “F.S.R.-For You-” in Flower, Sun, and Rain; “The Virgin Child Makes Her Wish Without Feeling Anything” in No More Heroes; and two songs in Nintendo DS mech shooter Liberation Maiden. Although it could easily be argued that music is the biggest outside influence on his work, Suda is also a big fan of cinema. His favourite film is 1984 drama Paris, Texas and he has named two characters after the film’s main character Travis, played by Harry Dean Stanton – Travis Bell of Killer 7, and Travis Touchdown of No More Heroes. 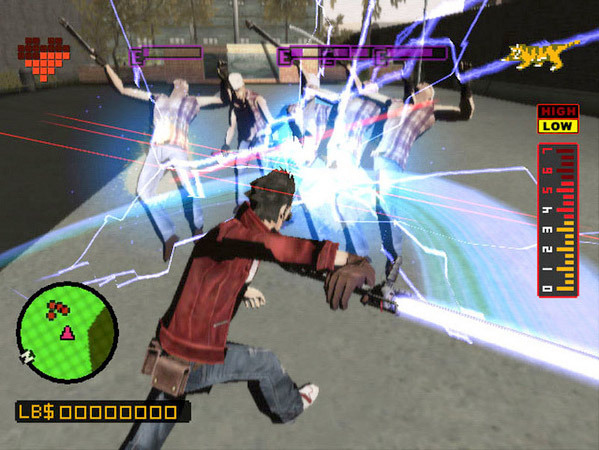 Suda also had acclaimed film director Takashi Miike (13 Assassins) perform a cameo in No More Heroes 2: Desperate Struggle, while the “beam katana” weapon brandished by No More Heroes star Travis Touchdown may appear to be influenced by the lightsaber, but Suda has stated it was actually inspired by Mel Brooks parody Spaceballs rather than Star Wars itself. 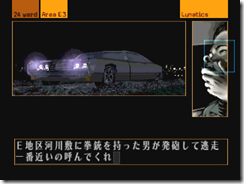 Many other film references can be found littered throughout Suda’s games: both Moonlight Syndrome and Nintendo DS remake Flower, Sun, and Rain: Murder and Mystery in Paradise reference David Lynch’s Lost Highway; the Rocky movies are referenced in both Contact and Flower, Sun, and Rain: Murder and Mystery in Paradise; and No More Heroes contains references to Blade Runner, The Warriors, Back To The Future, Wayne’s World and more. 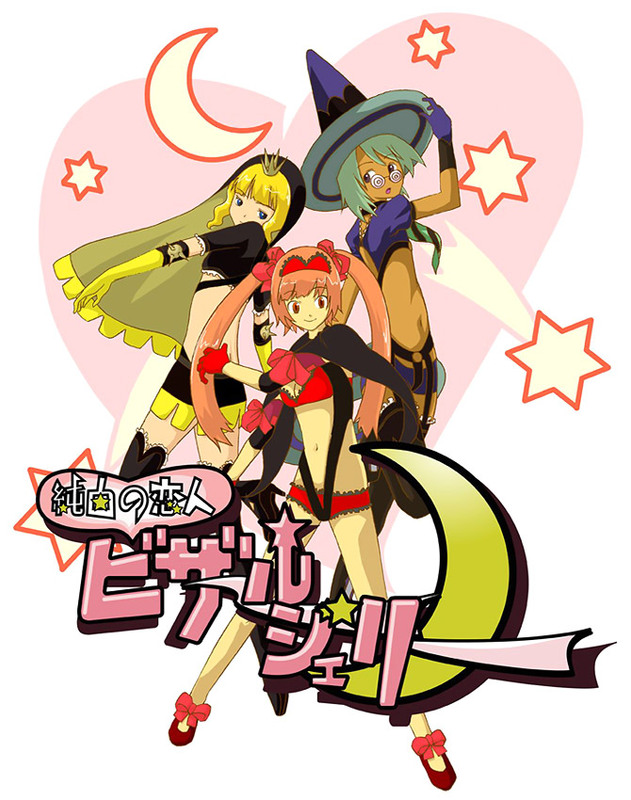 Suda’s love of anime also found its way into one of his games in a fairly prominent way when he wrote the parody show Pure White Lover Bizarre Jelly, an anime which doesn’t exist in reality but rather was created for inclusion within the world of No More Heroes. In the game, Travis Touchdown is a huge fan of the mock series, going so far as to spout catchphrases from it. The list of influences goes on: in terms of writing, Suda has stated his favourite author to be Franz Kafka, the German-language writer of short stories and novels whose work often contains surreal and absurd moments, while Suda’s favourite video game of all time is 1991’s Another World (a.k.a. Out of This World), an innovative platform adventure whose cinematic style went on to influence many future video games and designers. Suda has also named the game’s creator, Eric Chahi, as his favourite designer. Suda takes his work seriously – chances are he wouldn’t have had the long and successful career he has enjoyed to date otherwise – but his games don’t take themselves too seriously. Rather, Suda infuses them with a sometimes twisted sense of humour and a willingness to joyfully embrace the history and traits of their chosen medium, while simultaneously experimenting with what that medium is capable of. Nowadays, it’s a common complaint that video games are becoming dumbed-down, homogenised products designed by committee purely to make a profit rather than being something born out of genuine creative passion and enthusiasm, and this argument certainly seems to be true in some cases. Thankfully, however, the overall situation really isn’t that bleak. Video games are just like any other creative industry in that while certain negative trends may emerge, and at times it may seem like lazy, uninspired, purely-for-profit creations outnumber the worthwhile, there are always going to be enthusiastic creators out there producing imaginative and inventive work which comes from a real love for the medium. Goichi Suda has been such a creator for many years now and shows no signs of stopping anytime soon. 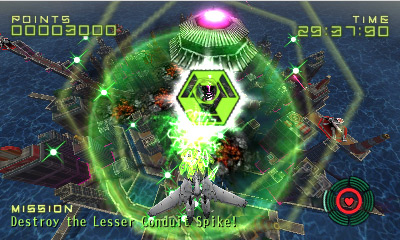 Along with his various levels of involvement in the other Grasshopper Manufacture games released in 2012, Suda also found the time to write and direct mech shooter Liberation Maiden, which was his contribution to Guild01, a Nintendo 3DS compilation of four separate games created by four separate designers. As in the past, Suda clearly remains unafraid to branch out and collaborate, whether the collaboration in question is a direct one or not. It’s an admirable trait in a creator who possesses and maintains his own distinct style. 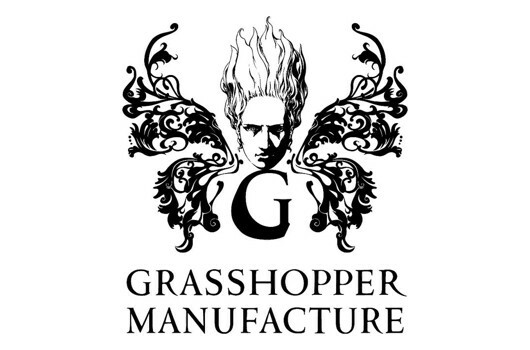 Although we’re currently still in the early days of 2013, news concerning the future of Suda and Grasshopper continues to emerge on a regular basis, such as the significant announcement that Grasshopper Manufacture has been acquired by publisher Gungho Online Entertainment, a deal described by Suda as one that would “support our vision to further create inspired new games that appeal (to) players across the world” and would help Grasshopper realise its “future plans”. Hopefully Gungho will have the sense not to try to rein in such an imaginative and creative development studio. Also, a trailer was recently revealed for Grasshopper’s Killer Is Dead, an action game on which Suda serves as executive director and which is scheduled for release this coming summer. 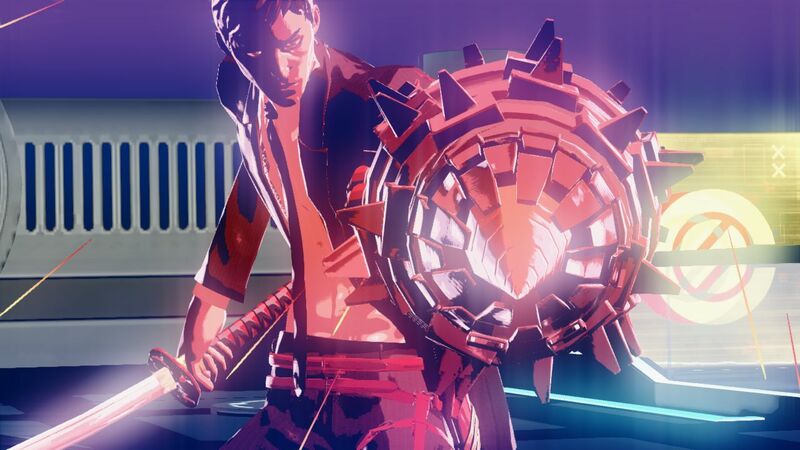 In Killer Is Dead, Suda once again casts the player as an assassin, this time a cyborg named Mondo Zappa. 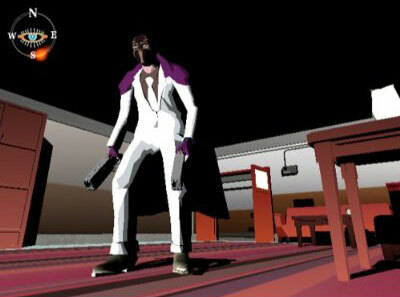 Although Killer Is Dead isn’t directly connected to Killer 7 or any of Suda’s other previous games, according to the director it will “pick up where Killer 7 and No More Heroes left off.” Certainly, information released so far suggests that the game will incorporate themes and references familiar to Suda fans, such as the central character being an assassin (Killer 7, No More Heroes), said character having the name “Mondo” (Flower, Sun, and Rain), and sword-based combat (No More Heroes). At the same time, Killer Is Dead will no doubt possess its own unique identity and contain plenty of surreal new details as well – for example, one of the currently revealed facts concerning the central character is that his favourite food is a half-boiled egg, while the game’s villainous character Victor is a monstrous figure with glowing eyes and green skin who can manipulate emotion through song. So it seems the future remains bright, bold and bizarre for Goichi Suda and Grasshopper Manufacture, with Suda continuing to make imaginative video games in his own style. Also, it’s safe to assume that Suda will continue giving the other talented creators at Grasshopper their own opportunities to shine in games which feature his involvement in a less central capacity – an approach that will hopefully foster creativity at the company even further. Whether Suda’s games appeal to you or not is of course down to personal taste, but anyone who loves the medium of video games must agree that innovative ideas ultimately allow it to grow and evolve and offer games which are further examples of the kind of brilliance, depth and creativity that the medium is capable of – these are not things achieved through compromise. As someone who has loved video games all of his life, I for one hope that Goichi Suda straps on a lucha libre mask, picks up a beam katana and keeps fighting his constant battle to push his ideas through. The industry is certainly a richer and more interesting place for their existence.